Set against the backdrop of the Nazis’ rise to power in 1930s Germany, Cabaret offers a devastating critique of apathy and a terrifying look at totalitarianism. Those themes are especially relevant now, lending considerable gravity to the recent performance of the enduring musical by the College of Performing Arts (COPA). 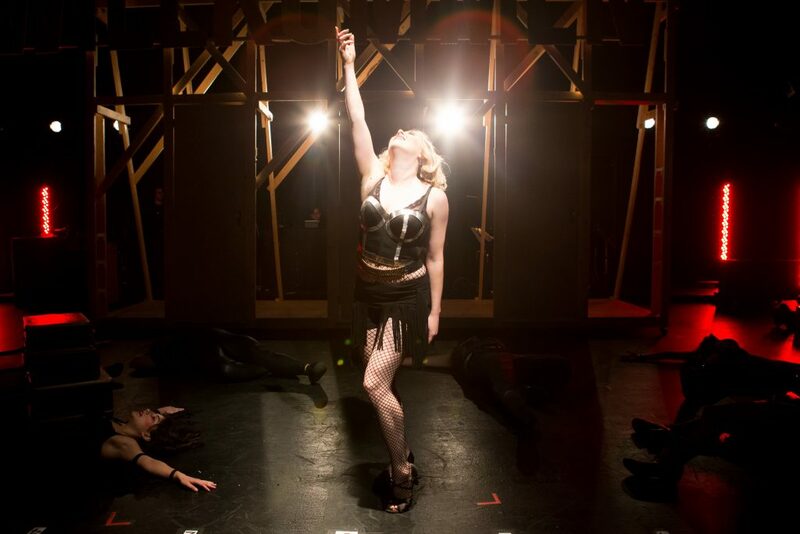 Following last year’s performances of Happy End, students from Mannes School of Music, the School of Jazz, and the School of Drama — all of which came together to form COPA two years ago — were all featured in the performances of Cabaret. The Musical Theater Performance Lab allowed cast members to rehearse for months in a collaborative environment that highlights The New School’s approach to interdisciplinary learning. Actors from Drama were given the chance to sing and dance, while musicians from Mannes and Jazz played in the live orchestra and onstage. The opportunity was not lost on the cast members, many of whom developed a new appreciation for musical theater, according to musical director Leslie Stifelman. The students learned new methods of performing and collaborating, laying the groundwork for future endeavors. COPA has staged cross-disciplinary performances in the past, including Steppenwolf, from Jochem le Cointre, Jazz ’16, and Robert Ashley’s experimental opera Dust. Both Happy End and Cabaret made a lasting impression on all participants thanks to the extraordinary collaborative nature of the works.